“This is the short and long of it”: Local Charter Schools host first annual Shakespeare Festival ! 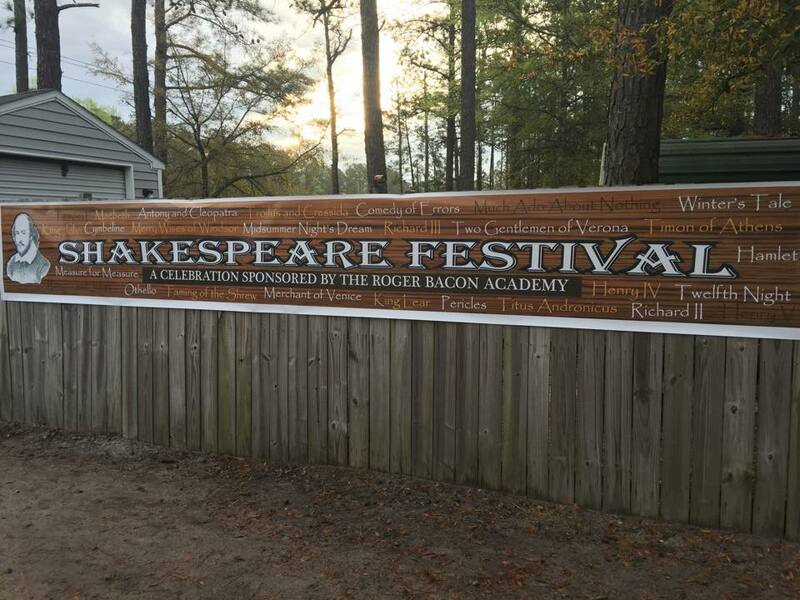 You are here: Home » Blog » “This is the short and long of it”: Local Charter Schools host first annual Shakespeare Festival ! Kindergarten teacher, Ms. Madsen, dresses as The Bard on Day 1 of Shakespeare Week. A great success, Shakespeare Festival will be back next year, bigger and better. Accomplishing this will require near-visionary creativity, however, as in its first year, the event included plays, live animals, and even sword fighting. 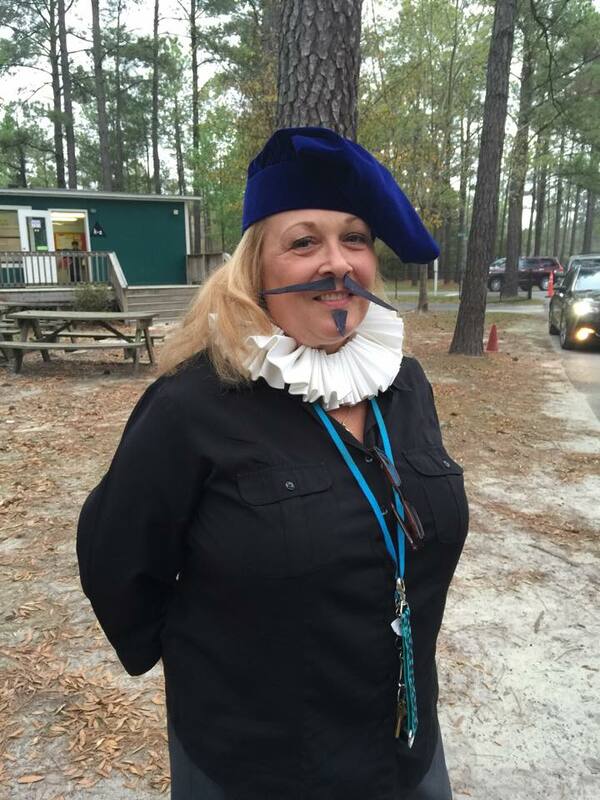 Students from Leland’s Charter Day School and Columbus Charter School, in Whiteville, returned from Spring Break last week in a carpool succession manned by teachers in ruffs, mustaches, and berets, evoking Shakespeare. As tuition-free public charter schools, the schools have the freedom to offer a unique classical curriculum that prioritizes history and the arts. Open to any student who enrolls, the schools successfully facilitate their classical curriculum by using age-adapted versions of canonical literature in grades K-8. Shakespeare Week provided students a treat to both reward and inspire their diligence in learning the rigorous material. On day one, Barnes and Noble representative Marilyn Shackleford introduced students to Shakespeare by presenting biographical information with storytelling, props, and activities. Curriculum Coach Ali Cause-Nance visited classrooms while dressed as the character Miranda from Shakespeare’s The Tempest, where she led readings and student dramatizations of the play’s intense opening scene of a boat at sea being ravaged by—as indicated by the work’s title—a tempest. 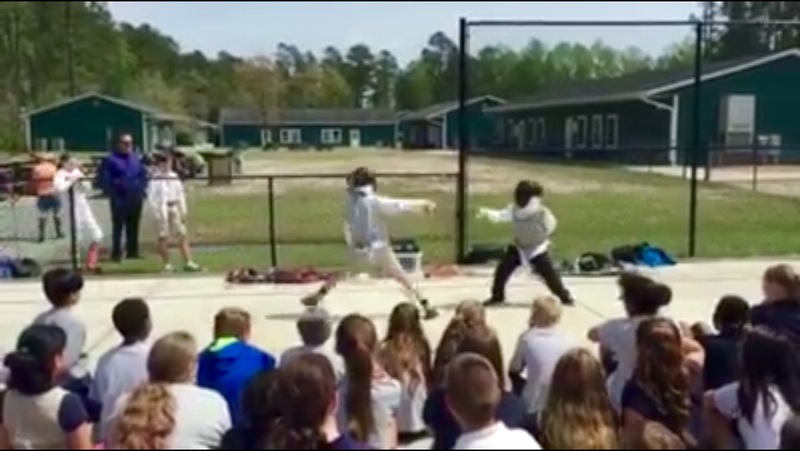 Instructor Gregory Spahr of the Cape Fear Fencing Association leads middle school students in fencing demonstrations. 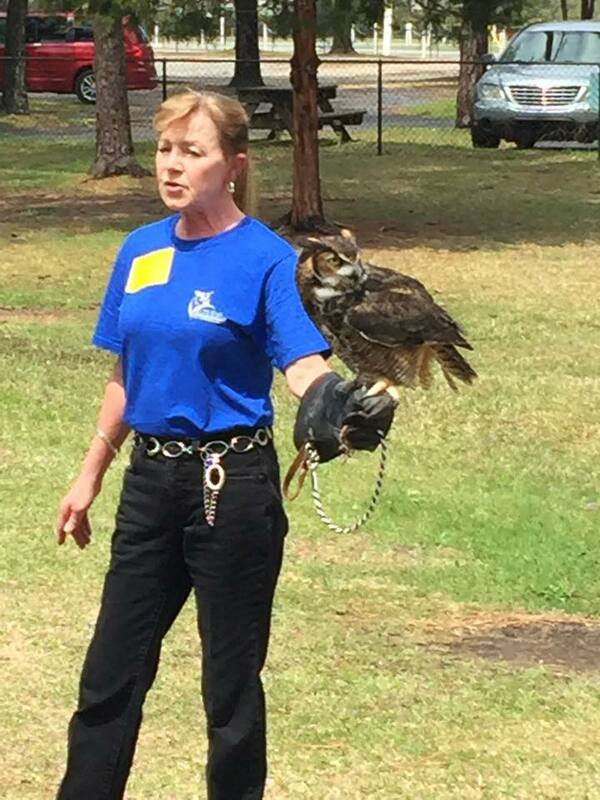 Anne Francione of the Cape Fear Raptor Center discusses Falconry. Similarly aptly-named, on day two, fencing instructor Gregory Spahr led middle school students though fencing demonstrations. Representing the Cape Fear Fencing Association, Mr. Spahr provided insight on weaponry and protocol used in Shakespearean duels. Middle schoolers got a chance to “rap” when Penny Kohut, owner of local theater company Bare Bones Performances, exercised students’ understanding of meter by having them “rap” sonnets to familiar tunes. Inspired by Shakespeare’s love of falconry, Anne Francione of the Cape Fear Raptor Center brought a rescue Falcon named Archie and spoke to students about local birds of prey and ecosystems. Shakespeare Week concluded with a day of drama. For elementary school, UNCW Shakespearean professor, Dr. Lewis Walker, performed songs from Shakespeare’s Twelfth Night on his ukulele. He brought along a Master’s student who performed soliloquies from The Two Gentlemen of Verona. Middle school was treated to performances from UNCW’s theater department, where Professor Christopher Marino led UNCW performers in scenes from A Comedy of Errors, Romeo and Juliet, and Hamlet. 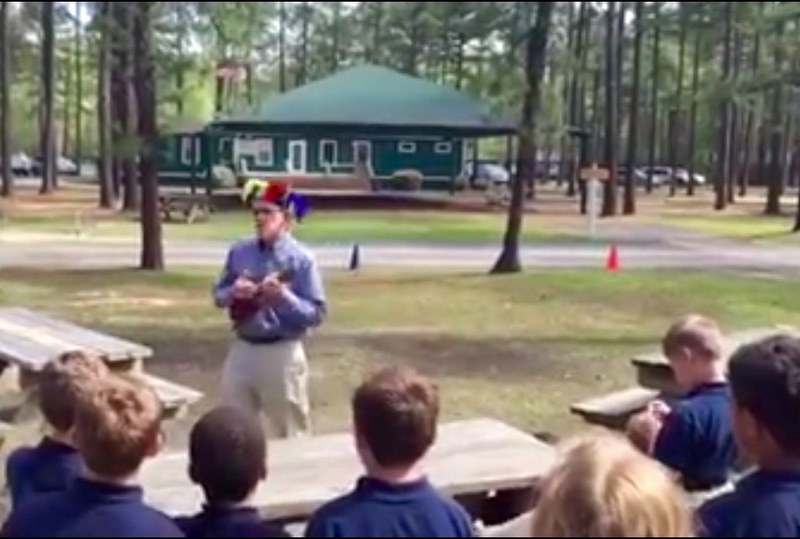 UNCW’s Dr. Lewis Walker performs the Fool’s Song from “Twelfth Night” on his ukulele. “Thanks to the various volunteers and organizations that joined us in this event, nearly 2,000 students in our area were able to connect Shakespeare to something relevant in their own community,” he continued. In addition to Charter Day School and Columbus Charter School, the newest members of the family of public charter schools managed by the Roger Bacon Academy, Inc. are Douglass Academy in downtown Wilmington, opened in 2013, and South Brunswick Charter School in Southport, opened in 2014. All four schools are currently accepting enrollments for the 2015-2016 school year online or in-person. For more information, visit www.rogerbacon.net or call 910.655.3600. 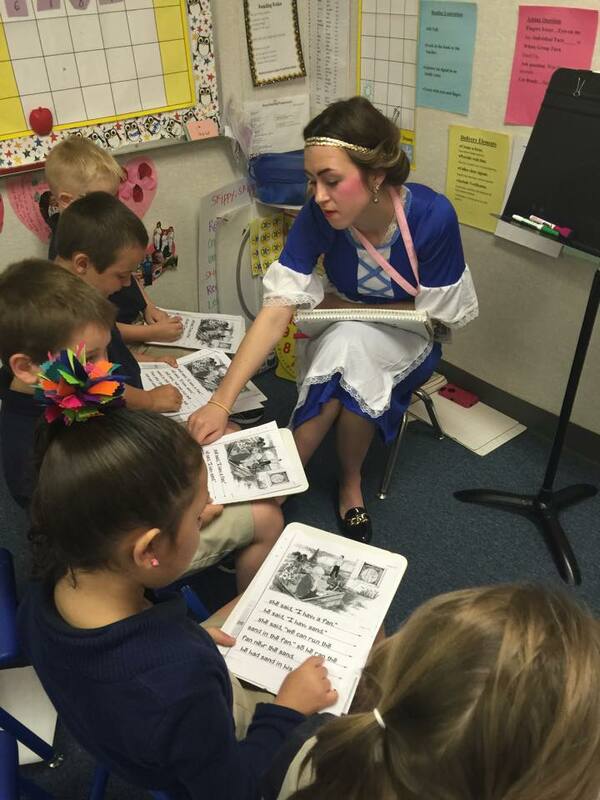 Kindergarten Assistant, Annie Lafave, and students read adapted versions of Shakespeare’s works. 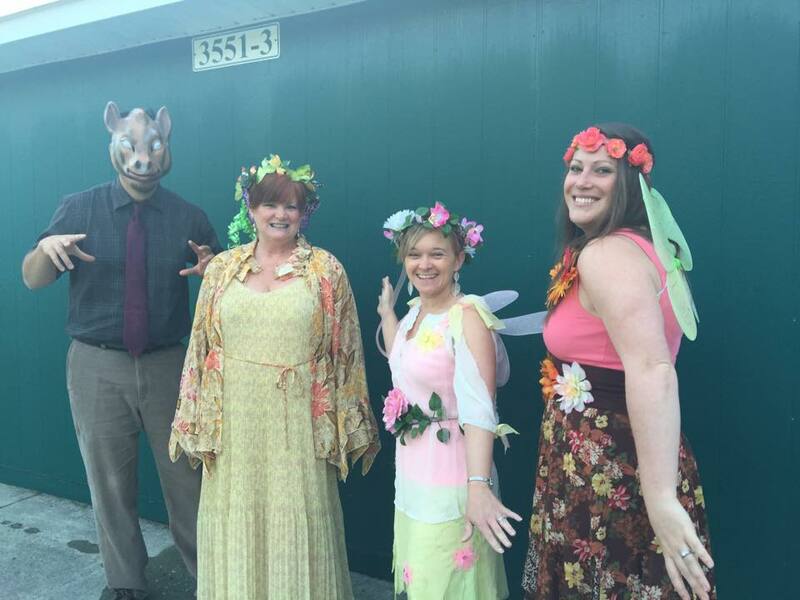 Teachers dress as peers of ‘Peare’s.